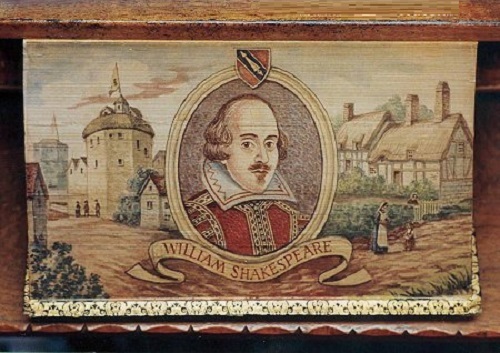 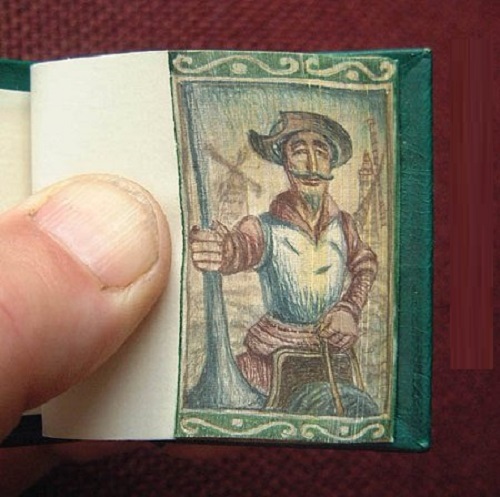 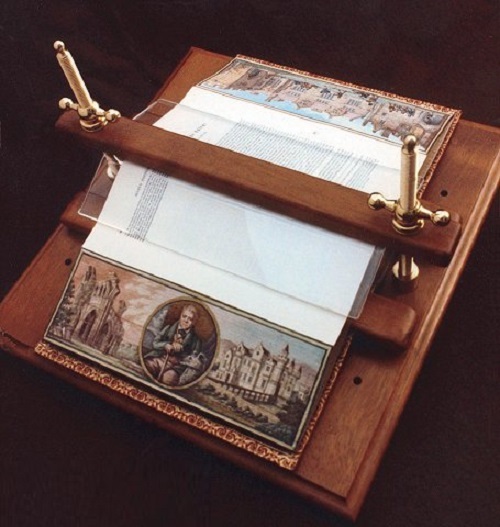 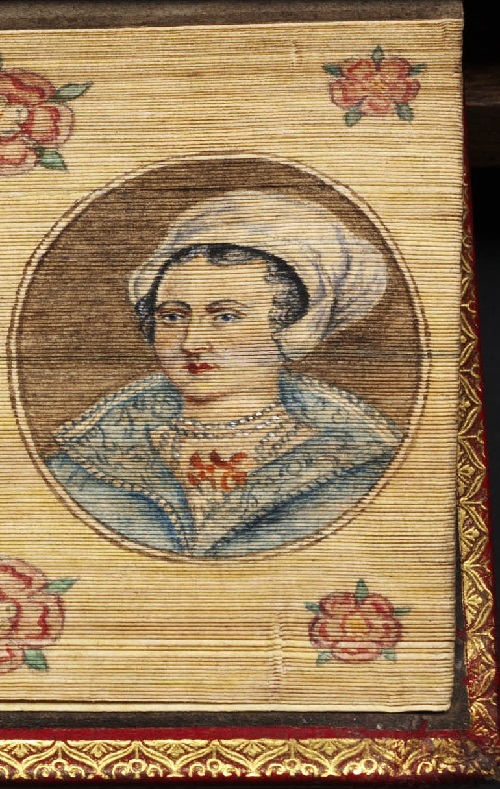 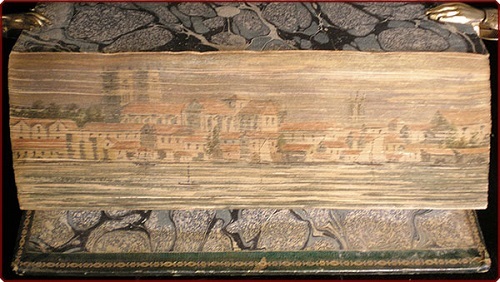 Fore-edge painting Art, or painting on the edges of pages, has been a traditional English book art existing for centuries and continues today by only a few artists. 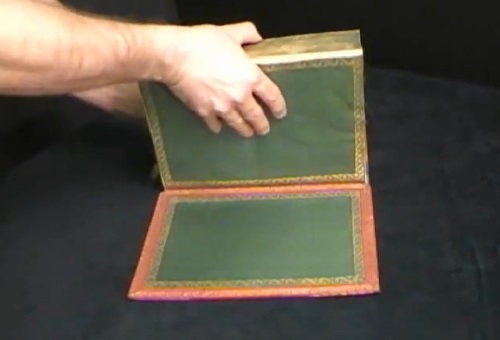 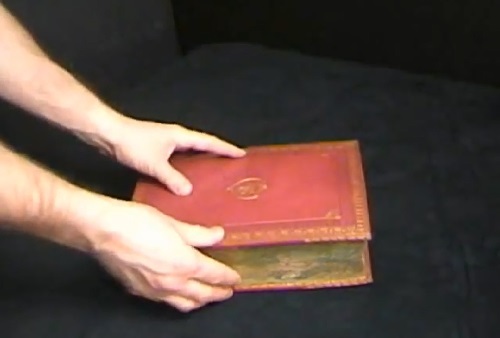 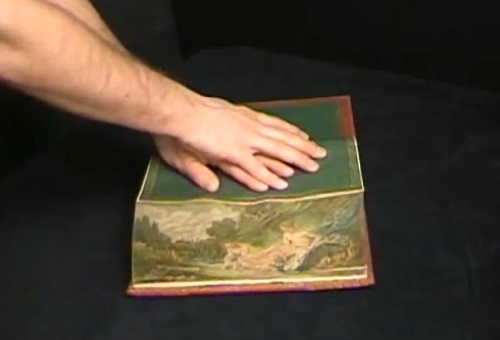 The edges of book are gilded or “marble” decorated, because of what the picture is not visible when the book is closed. 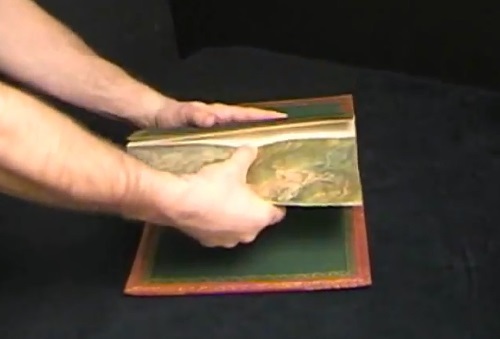 But when you slightly open and push pages, you will see the stunning painting. 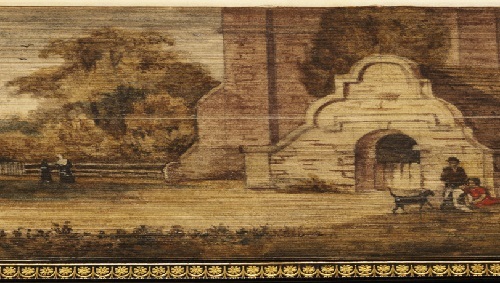 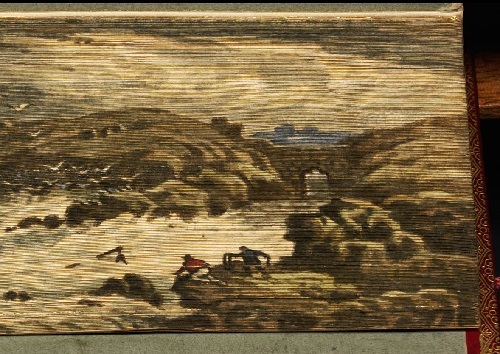 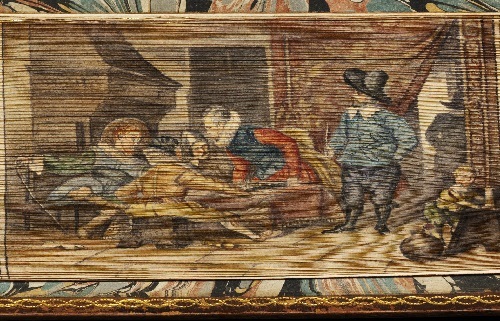 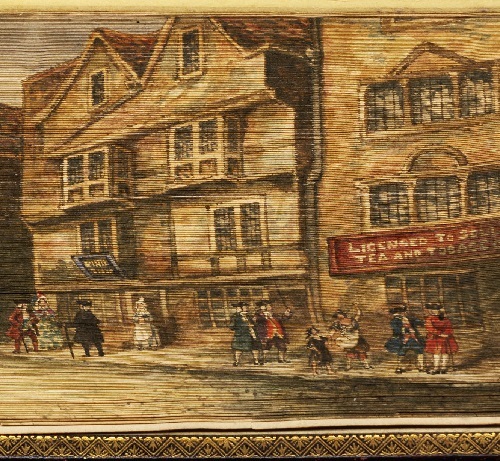 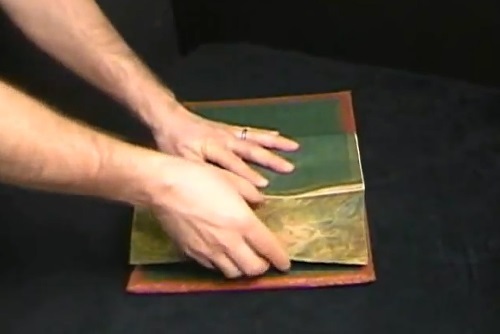 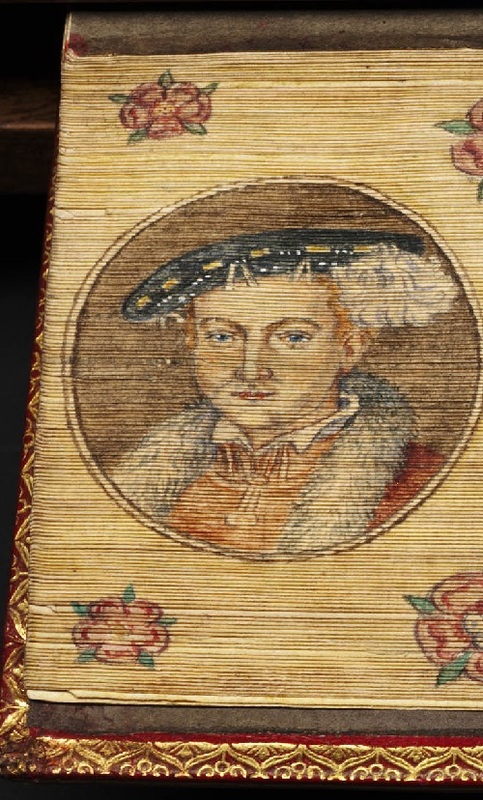 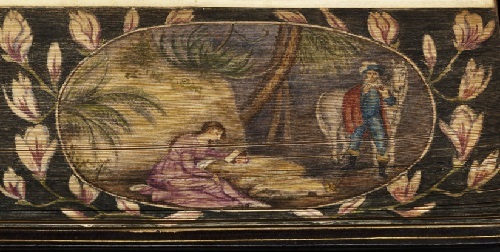 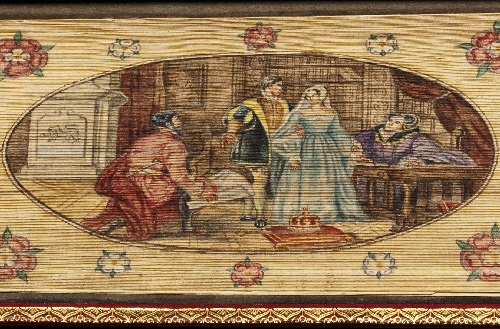 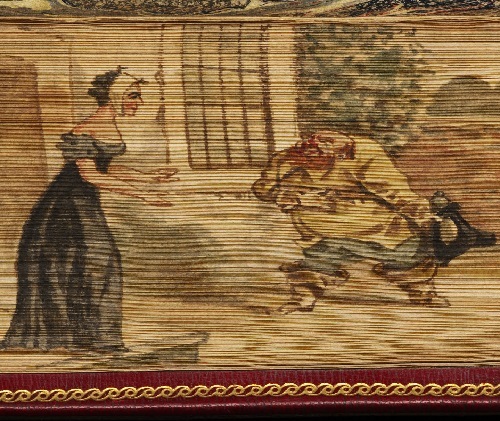 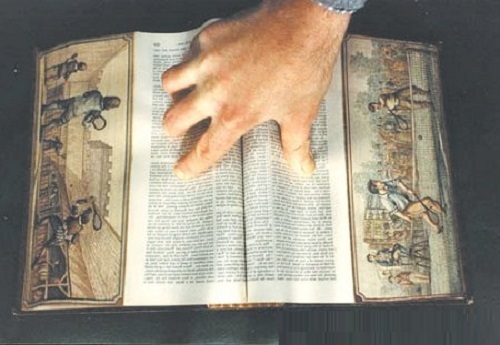 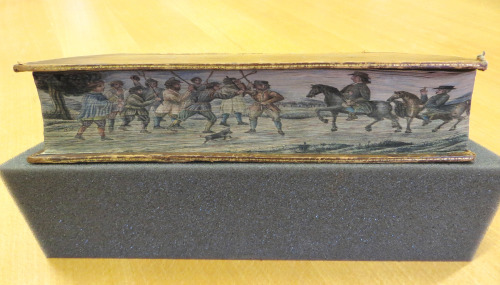 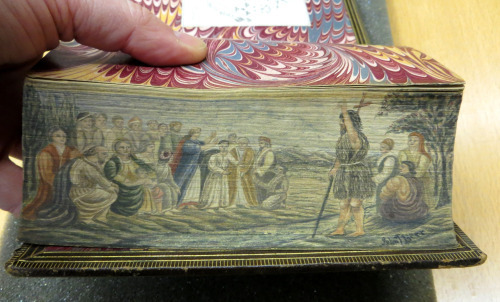 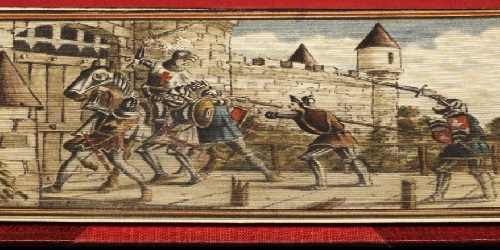 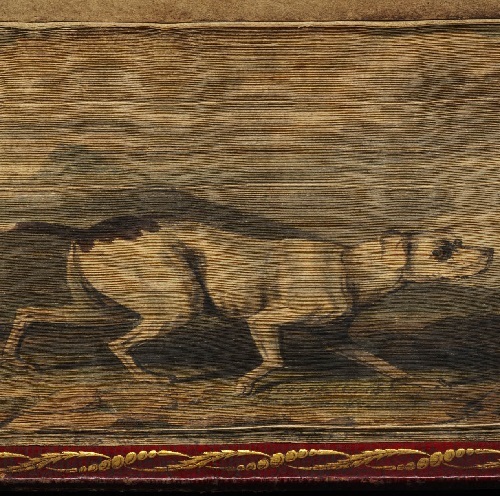 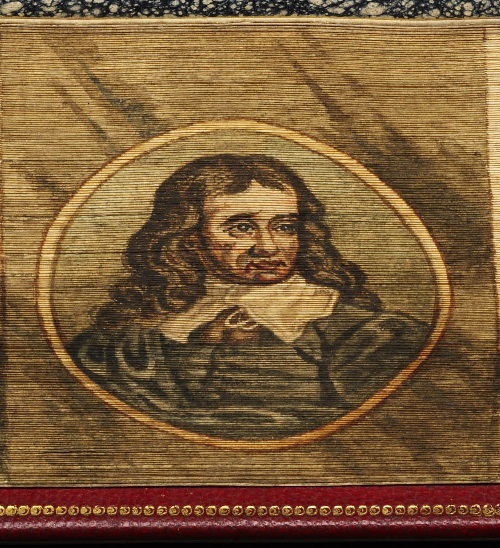 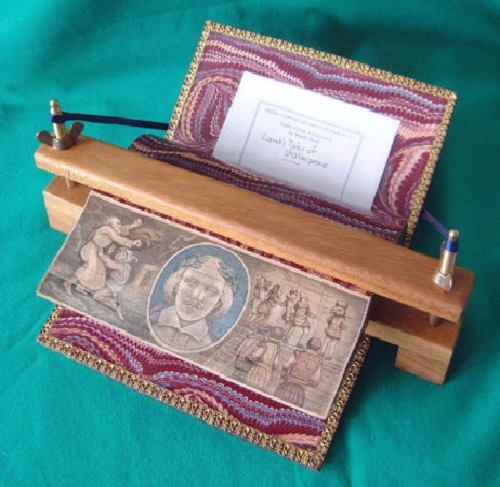 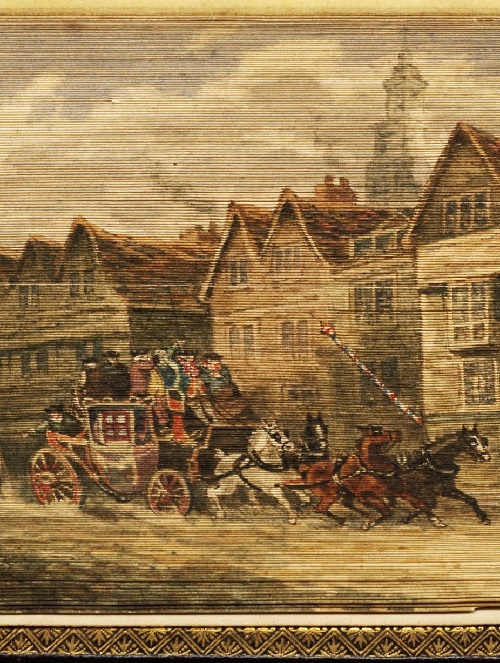 A fore-edge painting is where the page block is fanned and an image applied to the stepped surface. 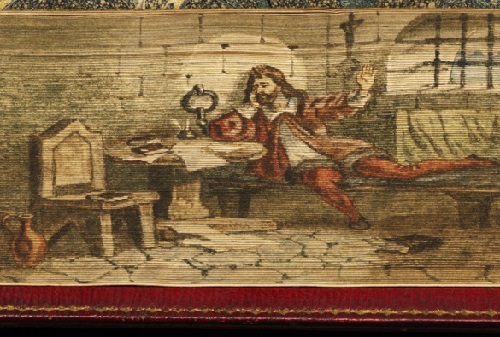 If the page edges are themselves gilded or marbled, this results in the image disappearing when the book is relaxed. 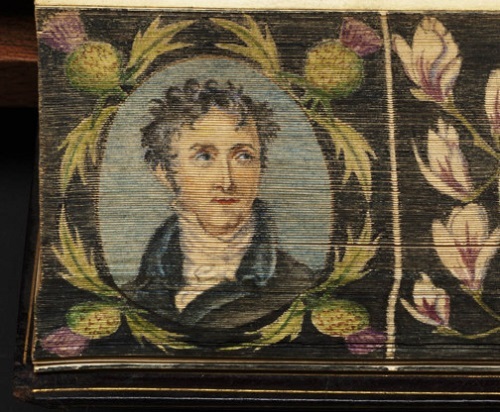 When re-fanned, the painting magically re-appears. 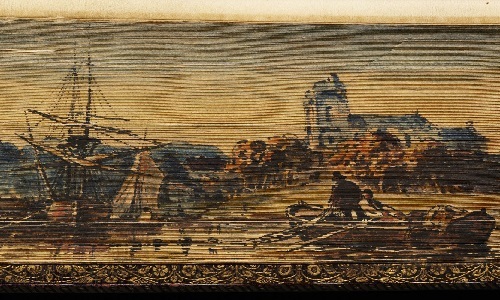 The vanishing Fore-edge Painting has been a traditional English book art for centuries and is continued today by just a few artists, usually working on old, finely bound, pre-gilded books, but now is available on certain new books.